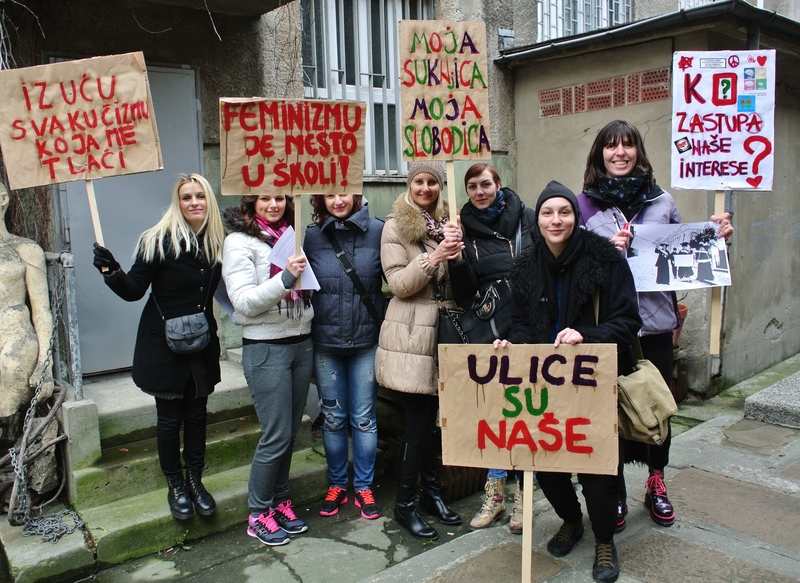 Kvinna till Kvinna has supported women’s rights in Serbia since 1994. Amid simmering tension with Kosovo, rising nationalism and a troubled wartime past, women’s rights receive little attention in Serbia. Our partners work to prevent gender-based violence, support its victims/survivors, call for peace and advocate for minority rights. But speaking up is dangerous: many activists face violent opposition. Politically, Serbia is marred by rising nationalism, corruption and low public trust. As many war criminals hold powerful positions, Serbia’s wartime past remains sensitive. There is simmering tension with Serbia’s neighbours, especially Kosovo. Kosovo declared independence in 2008, but Serbia does not recognise the country. Traditional values in society contribute to discrimination of women – politically, economically and socially. Minority groups, like the Roma or disabled women, are particularly vulnerable. In this context, women’s rights receive little attention. Gender-based violence is a major problem. As many as one in two Serbian women has faced domestic violence. Each year, multiple men murder their female partners. Support services for victims/survivors are woefully underfunded, and mainly provided by women’s rights organisations. In theory, Serbia has a range of laws to combat discrimination, including a progressive law on the prevention of domestic violence. Few of these laws are fully implemented, however. When women’s rights organisations speak up, they face tough opposition. Especially when mentioning Serbia’s role in the Yugoslav wars or the independence of Kosovo, activists risk harassment or even violence. After years of political advocacy, the Serbian women’s movement’s work has paid off. A new law on preventing domestic violence has been adopted, and May 18 is now a national day of remembrance for women murdered by their male partners. Our work in Serbia is conducted from our regional office in Belgrade.